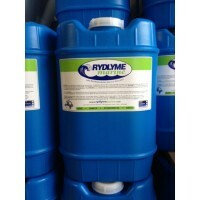 RYDLYME Marine is a safe biodegradable marine descaler developed to dissolve problematic fouling mediums including calcium, rust, zebra mussels, barnacles, tiger shells and other mineral deposits that hinder the performance of vital water systems. This safe and simple solution effectively dissolves rock-like scale deposits that contaminate your water-cooled marine equipment. RYDLYME Marine can be used on all types of vessels including workboats, cruise ships, mega yachts, freighters, and recreational boats. With RYDLYME Marine you can clean-in-place to reduce workload and save valuable maintenance dollars. Our innovative product has no waste disposal problems; it is biodegradable in any concentration.